well, hello there!just thought i’d pop in to give you a little sneak preview of some necklaces i’ve been working on for my upcoming spring shows.i’ve been making jewelry like a mad-woman, so i’m excited to share some new pieces!don’t forget, the piper & chloe show starts this friday!and, of course these will be added to my etsy shop soon. if there is a piece you see that you are dying for, just email me and i’ll get it listed for you asap.take care! i’ll share more tomorrow! I'm in super deep love with all of these! gorgeous! 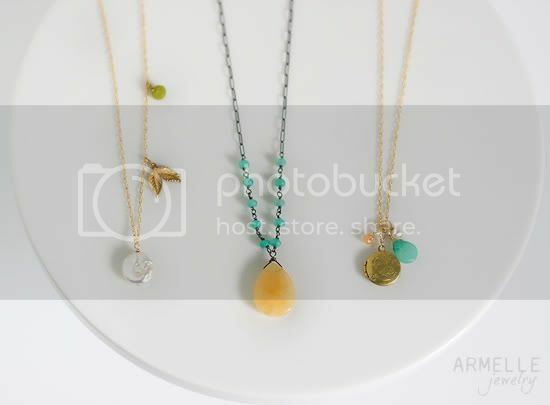 love the aqua/yellow combinations! 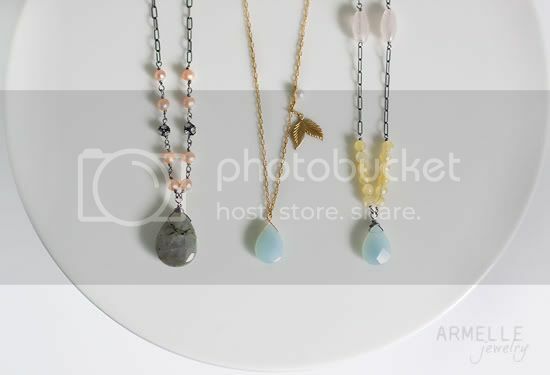 I LOVE the light blue necklace with the leaves! So pretty! 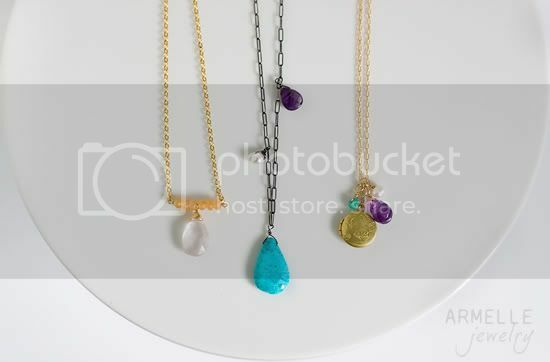 LOVE the gold locket with the pearl, peach, and aqua stones! When will it be in the shop? ?